Coral Bay, on the eastern end of St. John, is home to an active sailing community. For months, the Coast Guard has been using a crane boat and barge to retrieve sunken vessels. Using a crane, the Coast Guard puts derelict vessels it lifts from the water onto barges. They'll be transported to the mainland for disposal. 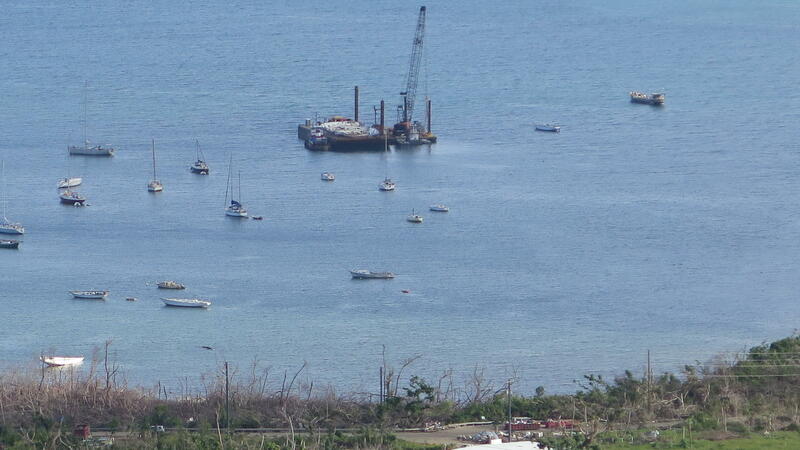 On St. John, the last boats to be removed are in environmentally sensitive areas. This sailboat is near an active Green Heron nest. 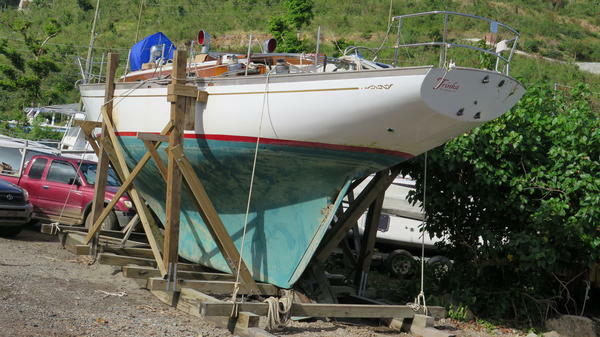 Thatcher Lord built the wooden cradle he used to haul his 41-foot sailboat out of the water after it sank in a protected cove, Hurricane Hole. Coast Guard Petty officer Jake DiPaola arrived on St. John in the Virgin Islands about a week after Hurricane Maria. 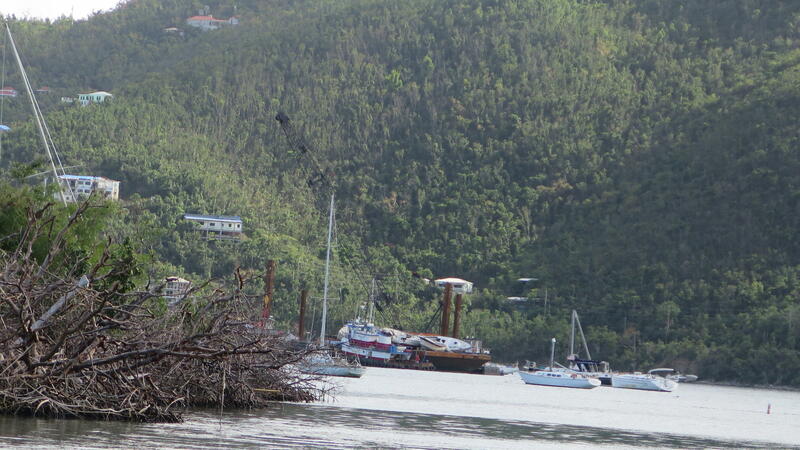 In Coral Bay, on the island's eastern end, he says the marina was a mess. "There were two sailboats right here," he says, while standing on the water's edge. "The mangroves across the water were shoulder-to-shoulder sailboats completely. And all of those got hauled out." In the Virgin Islands, the debris piles along roadsides from Hurricanes Irma and Maria are mostly gone. In the water however, there's still a major debris problem: hundreds of sunken boats, many of them broken and abandoned. St. John is home to a large sailing community that has a lot of experience with hurricanes. Before the hurricanes hit, people moved their boats to protected coves, secured them with extra guy lines. But, faced with back-to-back Category Five hurricanes, none of that mattered. Just about every boat was damaged or destroyed. Di Paola says one problem is that the two hurricanes came from different directions. "Irma came from the north and the east," he says. "And then Maria swung around and came from the south and the west. So even the normal holes where they put their boats at, it wasn't pointless. But it didn't help them." Using cranes mounted on barges, the Coast Guard so far has removed more than 750 boats from the water, beaches, and mangroves in the Virgin Islands and Puerto Rico. The most time-consuming salvage operations are those in environmentally sensitive areas. Working with marine biologists, DiPaola says they'll sometimes use inflatable devices to lift the boats over hazards like seagrass and coral. 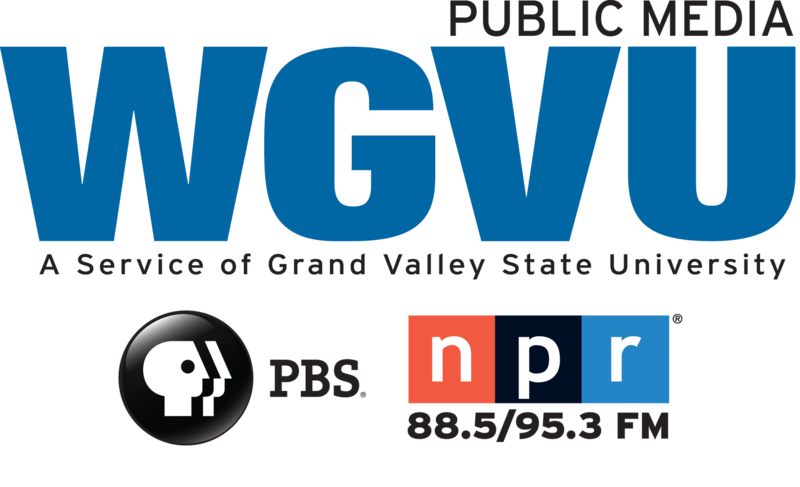 He mentions one problematic boat near three beds of endangered elk horn coral. "We have to go out with biologists and move the elk horn," he says. "Pick the boat and then put the elk horn back in a way such that it will regrow." The Coast Guard is happy to return the boats to owners at no charge. It saves the government the cost of transporting and disposing of the wrecks. But, in the Virgin Islands and Puerto Rico, most owners don't want their boats back. Tracy Keel, with the Army Corps of Engineers, is part of the team working on boat removal. He did a similar job on the Gulf coast after Katrina. In Louisiana and Mississippi, he says, "a lot of the owners came and got the boats and took them back. Not so much here. There are a lot of folks that have just pretty much said, 'I don't want to deal with it,' or they didn't have insurance." In Coral Bay, Thatcher Lord wasn't ready to walk away from his sailboat. It sank in a protected cove called Hurricane Hole. He spent days underwater afterwards patching a hole in the hull. It's a 41-foot Rhodes Reliant built in 1964. Lord says he's owned it for 27 years. "When she was sunk after the storm," he says, "it was a bit heart-wrenching. But we decided to try to save her and up until yesterday, I wasn't so sure it was going to happen." Because it was in national park waters, under federal law, the Coast Guard wasn't able to help retrieve the boat. Working with friends and his wife Vicki Rogers, Lord got his boat patched and floating. He then built a wooden cradle, floated the boat onto it, and was able to haul it out of the water. Lord and Rogers are from Maine where they both worked in boatyards. "I think at this point, we're kind of over the hump, because she's safe, she's out of the water and we both know how to do everything else," Rogers says. Lord and Rogers have months of work ahead. The Coast Guard says its crews should be done removing boats soon. 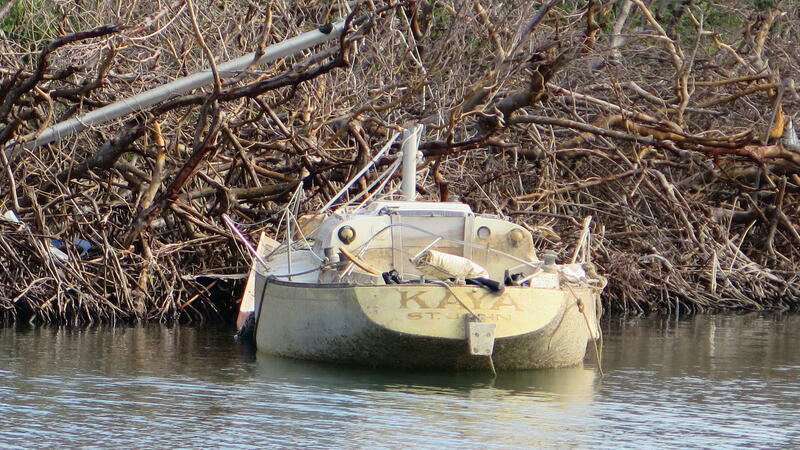 In Puerto Rico and the Virgin Islands, there are just about 150 vessels, sunken and broken where the storms left them.